Did you know that regardless of your registration status, each family of a potential organ or tissue donor must consent to the donation? Plus, not every donor gets to donate. There are exceptionally strict conditions which must be met to harvest organs. It’s marginally less for human tissue. In 2013, only 1 per cent of potential candidates who died in hospital actually met the criteria. This left Australia with a mere 391 suitable organ donors for our entire population. With approximately 1500 Aussies queuing for an organ transplant at any given time, these figures indicate we desperately need more donors to save lives. Registration is reported to be rising at around 75 per cent of the population happy to donate, but we still need to do more. The Australian Government Organ and Tissue Donation Authority, reported that only 69 per cent of registered donors have told their families of their potential donation. We really need that figure to rise. When potential donors became available in 2013, only 51 per cent of their family members knew what loved ones wants. Of these, the vast majority (94 per cent) of the families agreed to the donation. When the decision was left to family without knowing, the figure dropped substantially to 60 per cent. Enough with the stats right? It’s enough to make your head spin. What these figures indicate is that it’s imperative for families to talk about organ donation. We often talk about a whole heap of other crap, like what Aunty Joan did at the last family party, but important stuff like this often gets avoided. In reality, if your family doesn’t know what you want, there is a significant chance they will decline the donation and your opportunity to save up to 10 lives will be sadly lost. Lucky for us, Australia is a world leader in successful transplants. It’s not just about recruiting donors either. National, state and territory government’s have initiated ‘A World’s Best Practice Approach to Organ and Tissue Donation for Transplantation’ reform. The aim is to increase community engagement, awareness and registration rates, plus improve transplant success through stringent selection criteria and vital funding for medical professionals, post-donor care and facilities. The federal government has allocated additional funds to secure dedicated specialists, like surgeons, nurses, hospital based transplant specialists and support service for both recipients and donor families. Donor families receive support regardless of their decision to donate or not. It will be a particularly difficult time and significant research has gone into providing the best outcome for both the donor family and individual organ recipients. After a transplant, recipients receive assistance while they undergo 3 or more months of intensive recovery. For this time, recipients need consistent support as a mass of medications are introduced, including poisonous anti-rejection drugs. Recipients may experience potentially life-threatening side effects from medications and therefore potential recipients without 24/7 support for this period are ineligible for a transplant. This may seem harsh, but the success of the transplant depends on the recovery period. With such a low availability of donors, specialists want to ensure only individuals with the best chance of survival receive these valuable organs. They are aware they may not be able to save everyone’s life so they must base their decision on these types of variables. It’s the ultimate gift of life and no-one wants it wasted. Lastly, if you do decide to donate, be aware that your organs will be harvested with the utmost care and professionalism and your family will be thoroughly supported. If you’d like to know more about recipients of organ donors, we have an upcoming article, A day in the life of an organ transplant recipient. I’m blessed to have a family member who has recently an organ transplant and fully comprehend the precious gift which has been received. It is a decision which changes far more than an individuals life and impacts everyone they associate with, including the wider community. Who knows, one day it might be you on the waiting list and someone’s donation just might save your life. Surely that’s worthy of a 5 minute family conversation? Are you unable to put down your smart phone? Maybe over eating or drinking is your problem? Perhaps you’re indulging in too many prescription pills? Whether someone is overcoming an illegal or legal addiction is irrelevant. Most addictive behaviours can be treated similarly and have a similar pattern and path. Once these are understood, it is much easier to overcome any type of addiction. Addiction in it’s most basic form, is excessive behaviour. The difference between regular behaviour and an addiction, is that regular behaviour can be ceased without distress and can be absent from ones life, without causing a significant impact. In today’s society we have many behaviours than can easily lead to addictions. The following scenario depicts an addictive behaviour, associated with mobile phone use. You hear the tone of your phone go off during a funeral. Instead of switching it off or declining the call; you choose to pick it up and start a conversation. You therefore need to answer your phone, regardless of your physical situation. In this instance, you may have an addictive behaviour attached to the use of your mobile phone. Why this person felt inclined to answer the call, could have been, for one of two reasons. Either they did it automatically and neglected to notice their surroundings or they felt an overwhelming compulsion to answer it. In the later, they may have needed to answer the call to relieve distress or considerable discomfort they felt, when the phone rang. This would have occurred through conditioning. Behavioural Psychologists such as Pavolv and Skinner, did extensive research into how behaviours were learned, maintained and extinguished. This has been exceptionally helpful in the field of addiction. According to behavioural psychologists, the first step toward changing behaviour, is recognising it. For example; alcoholism can’t be treated without the drinker being aware they have a problem. So if you or someone you know has a problem that goes unnoticed; the behaviour isn’t likely to change. Once the behaviour is recognised as being excessive, measures can be taken to correct it. In most cases this will involve acknowledging and understanding triggers which lead to the behaviour. Triggers are those things in life which prompt a behaviour. Using the scenario above; the ring tone would be considered the trigger and answering the phone, the conditioned behaviour. Once a behaviour is learned and has been maintained, it can be difficult to extinguish. Maintenance usually occurs so the person can avoid the negative consequences of avoiding the behaviour. For example, alcoholics and drug abusers maintain their addiction, by knowing they need to ingest their desired substance, to avoid withdrawal. Avoiding negative consequences can be a powerful maintenance tool. Once this is overcome, the process of extinguishing can commence. This involves avoiding the behaviour and reprogramming the conditioning process. With the mobile phone scenario, an example of reconditioning could involve ignoring the ring tone so it diminishes the conditioned behaviour. It may cause the person considerable discomfort to initially ignore the tone, but after a time, it would become much easier. To alter the behaviour to answer the phone only when appropriate; the tone should be changed and the behaviour of only answering at specific times, would be practised. This would encourage a less addictive behaviour. Similar practices are done with food intake, such as eating only at the table or designating food free zones, such as the lounge room, where people often snack on unhealthy foods. 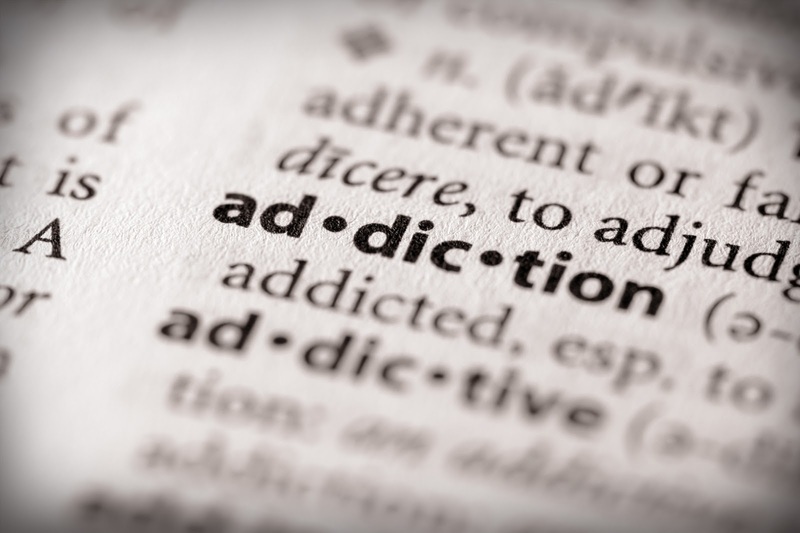 In theory, overcoming addictions is quite simple. However, emotions complicates the process. If you view an excessive behaviour as a conditioned, rather than emotional behaviour, your chance of overcoming it will be increased. It’s official: According to women, the common cold turns the average Aussie bloke into a snivelling child when sick. Nearly three quarters of women believe their partner displays childlike behaviour when under the weather and more than half of females claim that Man Flu only exists because men are so pathetic at coping with illness. The survey – commissioned by Vicks VapoRub – reveals that nearly three quarters (73 per cent) of women believe a cold can transform a strong, strapping man into a big kid, with a need to be waited on hand and foot (47 per cent) or reassured that he really is sick (46 per cent). It’s also not uncommon for men to like being tucked into bed when they are struck with a cold or flu (15 per cent). When the tables are turned, the majority of women (79 per cent) are confident they are better at handling a cold or flu than their partner. Nearly all women (98 per cent) say that their other half at times demands more sympathy than her when sick, and one of their more common ways to respond is to ‘whinge about how ill they are as if it’s the worst cold or flu ever’. One thing that both males and females have in common however is the belief that Man Flu exists. 59 per cent of women say this is the case, and nearly one in two (44 per cent) of our male population believe they have suffered a cough or cold which could be described as Man Flu. However, it’s not all about the men. While child-like behaviour is most commonly observed in our Aussie men suffering from colds, women can throw their toys out the pram too with more than half (57%) of men saying their other half resorts to acting like a kid when sick. And blokes: watch out for tell-tale female cold and flu signs such as your other half not moving from bed (27%) or becoming needy (21%). And while women say their men complain, nearly half of men (43%) acknowledge that women typically carry on with a cold and go to work, rarely taking a sick day. “A severe cold can hit at any time and reduces even the manliest of men (including myself) to a Man Child. My wife can tell I’m acting like a Man Child when my eyes turn watery, I’m buried in tissues or when my bottom lip starts to quiver when I’m not getting my own way. For help in choosing a range of cold and flu remedies you can use the Vicks Product Selector, found here: http://vicks.com.au/product-families. Can Salt Therapy Cure What Ails You? With up to 40 per cent of children suffering from allergies, parents are opening up to the latest complementary therapy to help battle symptoms associated with common ailments, from the winter cold to hayfever, asthma and eczema. The ingredient? A pinch of salt. Ancient natural salt caves dating back to the 1800s have paved the way for today’s more scientific salt therapy (also known as halo therapy), helping to relieve the symptoms of debilitating respiratory and skin ailments. So what is it and how does it work? Salt therapy is a non-invasive, chemical-free therapy designed to relieve congestion, inflammation and allergies of the airways and skin. By widening the airways of the respiratory tract, the micro salt particles reach deep into the respiratory system loosening up the mucus, which helps to reduce inflammation. The best part – children don’t even know they’re being treated. Kids enter a room with an adult (or the whole family) and simply sit back, play and breathe in an ambient setting, designed to mimic a natural salt cave, filled with toys, a fish tank, bean bags and a TV. During the 45-minute session, a Halogenerator grinds up pharmaceutical grade salt to tiny particles that become airborne and dispersed. Salt therapy is not a cure and works in conjunction with the sufferer’s medical treatment, helping to relieve symptoms of a range of common respiratory conditions be it ongoing or seasonal, from asthma to bronchitis as well as common skin conditions such as eczema and psoriasis. Husband and wife duo David and Katharine Lindsay founded Salts of the Earth in 2010 after seeing overseas firsthand the effects salt therapy had on David’s father, a long term sufferer of chronic respiratory illnesses. The centres now cater to more than 1000 appointments each week. 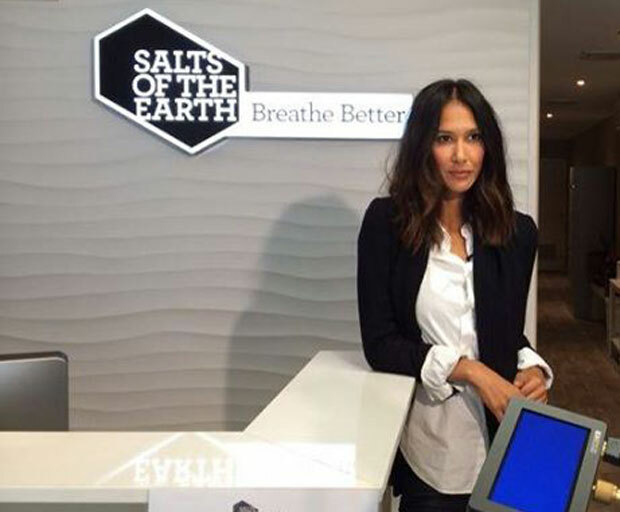 Salts of the Earth ambassador Lindy Klim knows first-hand the positive impact salt therapy can have. “My son Rocco had a bad nasal problem that was keeping him awake at night, so we wanted to find a non-invasive, natural remedy that would help to relieve his symptoms,” she said. Lindy reaps the benefits of salt therapy to maintain her own wellbeing, too. “I fly a lot so it’s nice for me to enjoy the room and take 45 minutes just for myself, knowing that by simply sitting back and relaxing, my recovery from travel is being aided as salt therapy helps me to breathe better and sleep better,” she said. Dr John Tickell said there are scientifically proven benefits in combining medical and natural therapy. 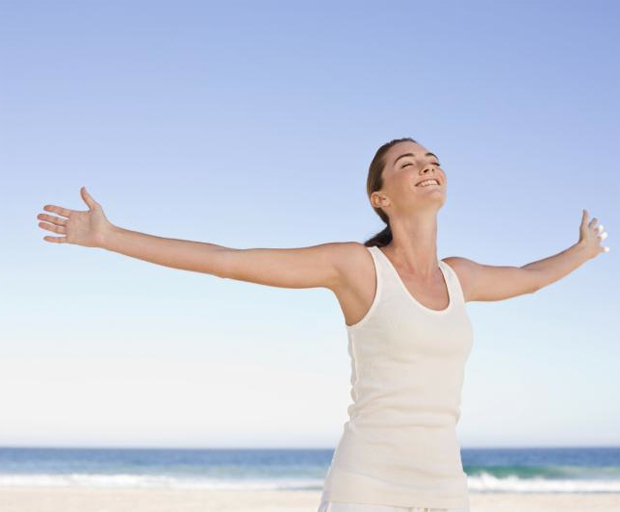 “There is science backing salt therapy, proving that breathing in minute salt particles does work to relieve symptoms, when used in conjunction with regular medication prescribed by your GP. By relieving the symptoms of a condition, medication can become more effective, resulting in better management and stronger relief,” he said. 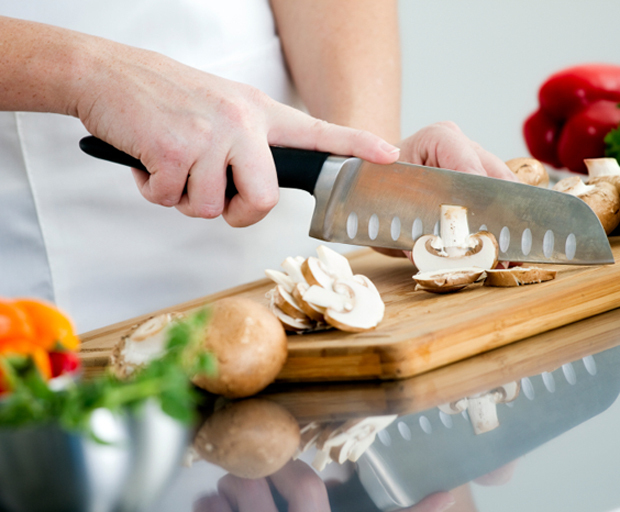 Forget sharp knives and boiling water: our kitchens are full of dangers that could be affecting our health. Naturopath and author of Digestive Solutions, Michèle Wolff, looks at the nasties hiding in our kitchen and how to avoid them. The metal-food reaction with aluminium can produce aluminium salts that are absorbed into your body and may be associated with impaired motor coordination and chronic inflammation which can result in a number of health conditions. Aluminium pans get thinner over time, and the only place for it to go is in your food. Tip: Buy baking paper to wrap your beetroot, fish or potato or put your food in a glass casserole dish. Over time, Teflon can get scratched off into the food. The fumes can also be toxic when cooking in these pans at high temperatures. Never leave Teflon pans on the stove unattended; the toxicity becomes worse with overcooked or overheated foods. Although these non-stick pans are popular there are alternatives that do not harm your health. Tip: Look for chemical free cookware, such as pans with an ecolon coating which is ecofriendly and chemical free, such as neoflam. Although seen as a speedy and convenient option, microwaves release electromagnetic waves that cause friction and heat to your food. Nutrient damage also occurs and there is a concern with plastics coming into contact with food. Tip: Do not put breast milk, plastics or metal into a microwave. Exposed to microwaves, breast milk will lose lysozyme (an enzyme with antiseptic action) and antibodies, can foster the growth of pathogenic bacteria, and result in uneven heating which may cause burning in a baby’s mouth. Metal and plastics can create toxic fumes which can cause serious injury. There is a danger of cooking meats at high temperatures which uses the production of Heterocyclic amines (HCAs). Research has show that these are the carcinogenic chemicals formed when amino acids (from protein) and creatine (a chemical found in muscle) react at high temperatures. Tip: Avoid medium-well or well-done meat to minimise health risk. Grilling or pan-frying can still cause high amounts of HCAs if the temperature is high. Tip: Frying is fine, as long as you use the right oils. Cook with ghee, coconut oil or rice bran oil. Coconut oil is slower to oxidise and is not chemically altered when heated at a high temperature. These are the best oils to use when stir-frying as the nutrients in the foods are not compromised by the oxidising oil. Tip: Ideally, it is best to cook in stainless steel, ceramic or glass pans and to cook at low temperatures to conserve nutrition. Michèle Wolff is a leading health practitioner and a qualified naturopath, nutritionist, herbalist and nurse, owner of Ultimate Detox Solutions www.detoxspecialist.com.au. Her new book ‘Digestive Solutions – 101 Proven Methods to Solve Your Tummy Problems Naturally’ is available from bookstores and good online booksellers. Visit www.digestivesolutions.com.au. Would You Wear a Bra That Detects Emotional Overeating? You know how it goes…you’ve had a stressful day and you reach for the Tim-Tams. And before you know it, the packet is finished, and you’re licking crumbs off the couch. And hating yourself in the morning. Microsoft Research has invented a bra that aims to detect emotional overeating, and curb cravings. The battery-powered bra is equipped with sensor pads that monitors the wearer’s moods and stream information to a smartphone app. 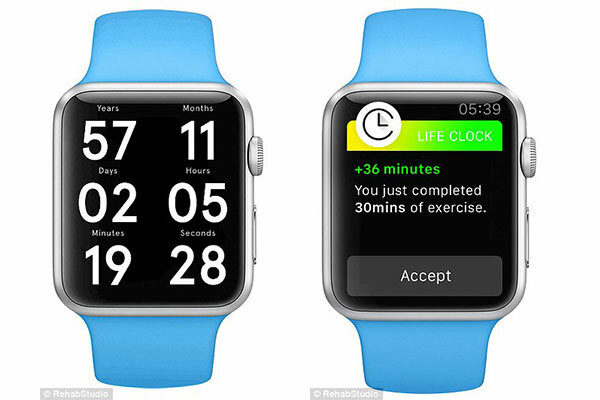 The sensors capture heart rate, respiration, skin conductance and movement. By both recording moods on a smartphone app and collecting data from the bra-sensors, the scientists could predict changes in physiology that accompany eating and stress, including whether the subjects are happy or angry. The bra also sends a tweet when the bra is removed. While most stress-eaters are women, more than half the U.S. population has admitted to stress-eating, which then leads to a cycle of putting on weight, getting stressed and eating more, causing obesity. In fact one of the researchers tried to invent the same type of stress-detecting device for men’s underwear, but it wouldn’t work because it was too far away from the heart. Would you wear a bra that monitors emotional overeating? If you’ve ever wondered if we are genetically-geared to be vegetarians, or if avoiding meat is just a hippy-fied way of life, allow me to outline a few of the main points for you. In seeking answers to that very question, I had to concede that scientists believe humans were not designed as flesh-eating machines. Nor have we evolved to become so. The human digestive system, tooth and jaw structure, and bodily functions are completely different from carnivorous animals. Our digestive system is twelve times the length of our body, unlike that of true carnivores, whose is only three times theirs, to allow for the rapid expulsion of the bacteria from decomposing flesh. (Sounds delicious, eh?) We have significantly less hydrochloric acid in our stomachs as our carnivorous cousins, which helps to digest fibrous tissue and bones. Even our teeth prove our vegetarian tendencies. We have molars, those big, flat, back teeth used for grinding food. Unlike grains, meat need not be chewed in the mouth to pre-digest, as it’s digested mostly in the stomach and intestines. That’s why you’ll see a dog or a cat hardly chew its food at all. Interestingly, but hardly surprisingly, recent studies have shown that a meat diet has a seriously harmful effect on grass-and-leaf eaters. Dr William Collins, a scientist in New York’s Maimonedes Medical Centre, found that carnivores have an ‘almost unlimited capacity to handle saturated fats and cholesterol’. He conducted an experiment, whereby half a pound of animal fat was added daily over a long period of time to a rabbit’s diet, and after two months, his blood vessels became so caked with fat that the rat developed the serious disease, arteriosclerosis. Human heart disease and associated conditions are directly attributable to the amount of animal products we eat. A yearly check up is imperative for the average person. The teeth also need to be cleaned properly at least once a year. A dental hygienist will clean the teeth and gums to get rid of the plaque and scale build up that we just can’t get to ourselves. This regular hygiene treatment will help to prevent gum disease – which is the most common cause of tooth loss in adults. You, of course have to brush twice a day for two minutes, morning and night, using a fluoride toothpaste and a soft bristled brush. Very important. Oh, and don’t forget to floss with waxed dental floss! A lot of people favour mouthwashes. Generally, they are used for freshening the breath, but they can also dislodge any debris from food before you brush. The best washes are the ones that contain an antibacterial agent to help diminish gum disease. Look for fluoride in them too. This is the product that fights against decay. If you are using one that has alcohol, you should go easy on it and use it in moderation. It can be a killer. If your breath is lacking a little freshness, it can sadly be a very quick way for someone to judge you?and it won’t be favourably either! The major problem with bad breath is that often we are the last person to know if our breath is bad. We all know how mortifyingly offensive bad breath can be too. 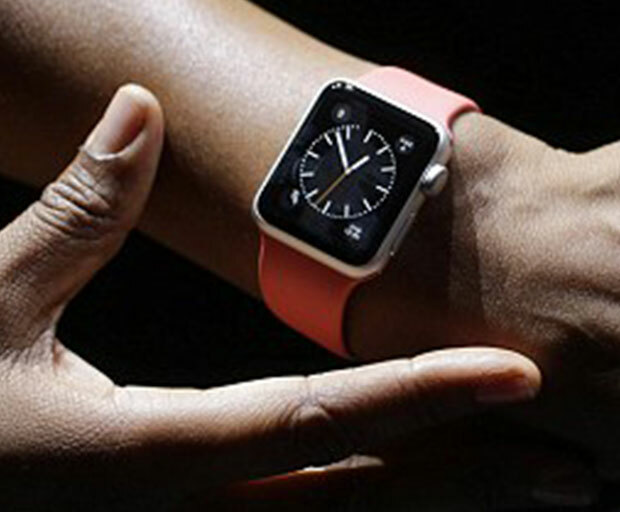 Try this: lick your wrist and wait for 10 to 20 seconds before you smell your wrist. If the smell is unpleasant on your wrist, then you can pretty much be guaranteed that the smell emanating from your mouth is pretty bad too. This is where flossing comes in. Do it every day and you will avoid bad breath and clean your teeth properly. Take your toothbrush to work with you if you are going out after work and give them a brush before you go. The mouthwash will help in this area too. Also, check to see if your mouth gets dry. If you have a dry mouth, drink more water. One of the causes of bad breath is a dry mouth. Osteoporosis, is a situation where calcium is being lost from the bones faster than being added, regardless of how much calcium a person consumes. As we age it is normal for both men and women to develop a condition known as osteopenia, this being a moderate reduction in bone mass. This situation is without problem unless it progresses to osteoporosis, which is a severe reduction in bone mass significantly increasing the risk of bone fracture and posture deterioration such as ‘dowager’s hump’.Preventing osteoporosis is about getting the right balance of bone minerals. Healthy bones need calcium, magnesium, boron, other minerals and protein. Generally the mineral calcium is the main focus, yet calcium can not be absorbed into the body, unless a significant supply of magnesium is present. Magnesium is also alkaline, and the latest research by Dr. Susan Brown (osteoporosis specialist in the USA, www.betterbones.com) suggests that a more acidic body is more susceptible to calcium loss. So some research is suggesting a high magnesium intake is probably more important than a high calcium intake. However, in general we need to look at the raw materials needed to form good healthy bones that will last a lifetime. Food is raw material for the body and a balanced diet, that includes lots of fruit and vegetables, should equal – of your food intake on a daily basis. Eating raw nuts and seeds (preferably soaked overnight) will provide essential fatty acids, which are essential for the absorption of all the bone building materials. Good sources of both calcium and magnesium are sea vegetables and raw almonds. Protein is another essential requirement, however protein in excess produces strongly acidic wastes. These may force the body to call upon its reserves of the alkaline minerals, calcium and magnesium from the bones. So, a high protein diet will increase calcium loss. Other risk factors that can induce onset of osteoporosis include salt, refined sugar, cigarette smoking, vitamin D deficiencies and excessive consumption of caffeine and alcohol. Because bones thicken or become denser in response to load placed on them, lack of physical activity is paramount in creating a weakening and thinning in bone density. Weight bearing exercise is essential to the recipe for life strong bones. Try yoga, Pilates, resistance training, walking some form of weight bearing movement that you enjoy. Osteoporosis has also been blamed on estrogen deficiency. However, not even basic medical texts agree with this. Estrogen plays a part in slowing down the bone loss but cannot rebuild new bone. Progesterone, the balancing hormone, stimulates new bone growth. Whilst the researchers and the pharmaceutical industry discuss this controversial issue, it is probably safe to suggest that hormonal balance would play a key role in the prevention of osteoporosis. How do you balance your hormones? Reduce stress in your life. Eat a balanced diet. Get some regular exercise. The formula is the same for most health-related issues. Start today! It’s everything we don’t want to talk about. We wish it would just curl up and disappear. You cringe when someone mentions his or her own movements. You just don’t want to know. We pretend the toilet doesn’t exist. For some people though it is an alienating and distressing experience that can get out of control. Imagine living with a dehabilitating disease for years avoiding the simple joys in life, like dinner parties and weekends away with friends, just accepting the symptoms because they are what you have learnt to live with; until you are finally diagnosed. Diseases of the bowel are anti-social and destructive to your lifestyle. It’s not much fun spending most of your time in search of a toilet. Chron’s disease and ulcerative colitis are generally grouped together as Inflammatory Bowel Disease (IBD). 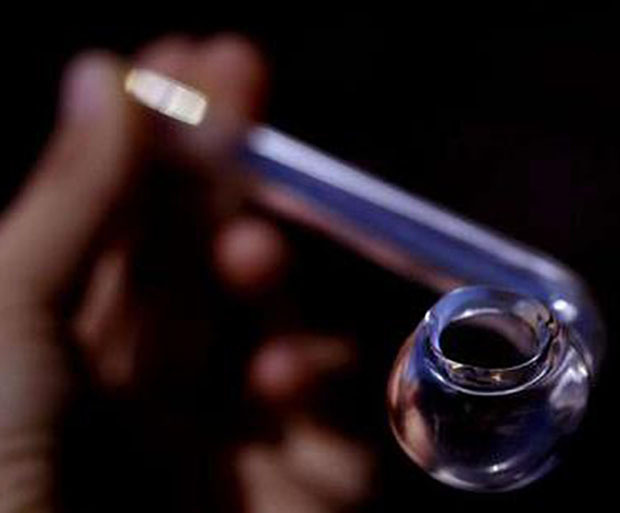 More than 23,000 Australians are inflicted. Approximately 10,000 have Chron’s and 13,000 have ulcerative colitis. Chron’s disease is chronic, life-long and is a disease which causes the immune system to attack and inflame the body’s own tissues, most often the gastrointestinal tract. Ulcerative colitis also is an inflammatory disease that is characterised by inflammation and ulceration of the inner lining (mucosa) of the colon. Both diseases have similar symptoms and this can make it difficult initially to differentiate between the two. There are two sad facts: there is no known cure as yet and they are diseases that primarily affect the young. Most cases are diagnosed before the age of 30, although there are cases that are diagnosed in the later decades of life. IBD is uncommon in children but does occur. The same symptoms develop in children as in adults. Scientists believe that both diseases may be due to a defect in the body’s immune system, its natural protection against diseases. The first large national study of the treatment of Chron’s disease is currently being undertaken solely in Australia. The trial involves 212 volunteers over the age of 18 years with Chron’s disease and is being conducted in up to 20 centres Australia wide. The trial will run for two years. ‘Initial reports from a much smaller open trial in Britain have shown promising results using a combination of antibiotics,’ says Associate Professor Warwick Selby, a gastroenterologist at Sydney’s Royal Prince Alfred Hospital. Our trial is unique because it’s aimed at ensuring people remain well long after they have finished the treatment. We want to measure the rate of remission after the first 16 weeks and any possible relapses after one, two and three years. Patients will be given the appropriate medication and be provided free to participating volunteers. We hope to have it finished by the middle of the year but we need more people in order to realise its full value, says Professor Selby.